SAN FRANCISCO (KGO) -- An Illinois man is elevating the whole collecting Pokemon experience to an entirely new level. 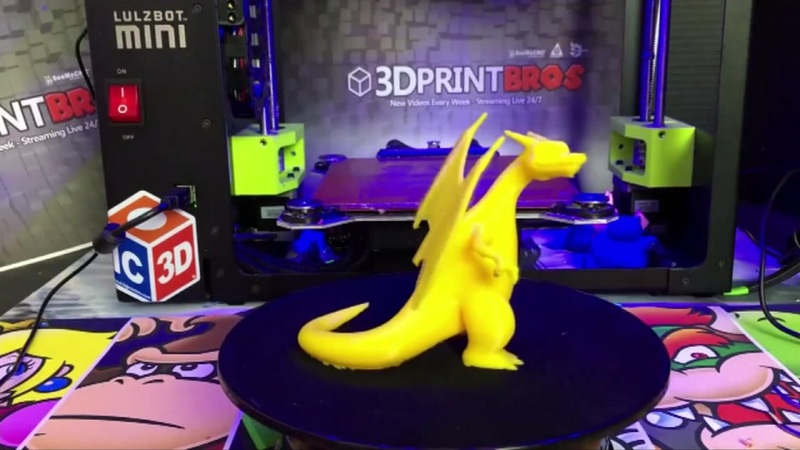 Using his 3D printer, Zach Hill is printing actual Pokemon characters and is hiding the figurines around his hometown of Rockford, Ill.
Hill is luring collectors to the hidden Pokemon using photos posted on his Facebook page. Players say getting a prized Pokemon requires a bit more effort than catching them on a smartphone. "Digging and running, everywhere, the first post got so much attention that I wasn't expecting it at all. It just kind of blew up, and from there pretty much every day for the last month I've been hiding Pokémon," Hill said. Hill says he's putting in the effort because he enjoys seeing his community come together to have fun. For more stories about Pokémon, click here.